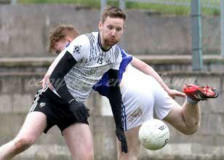 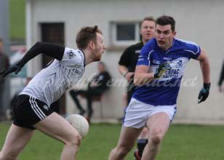 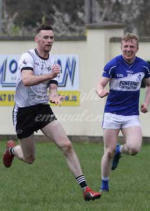 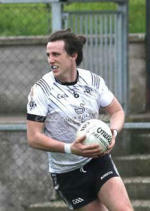 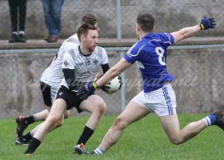 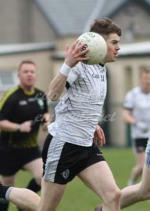 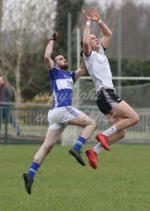 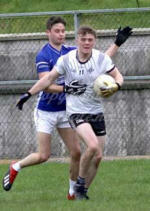 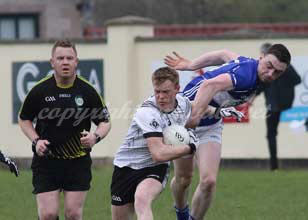 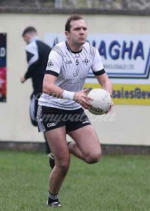 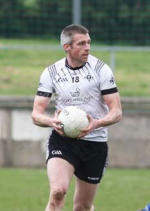 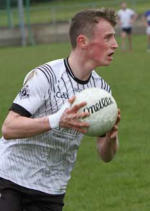 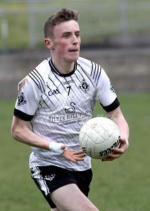 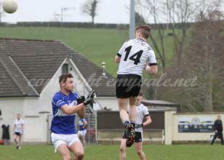 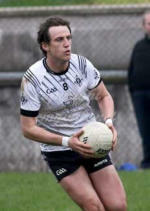 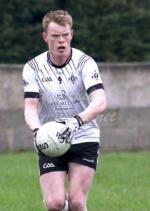 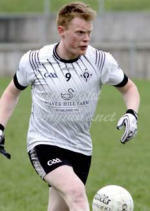 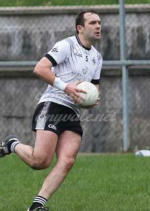 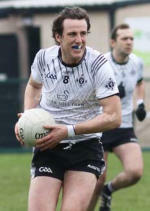 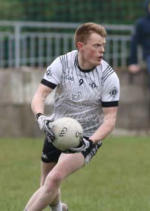 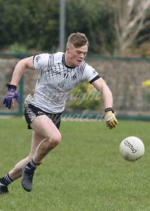 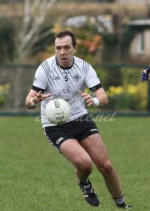 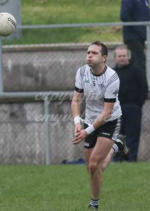 Emyvale V Aughnamullen: Emyvale played their second game in the 2019 Intermediate Football League at home on Sunday, April 7th. 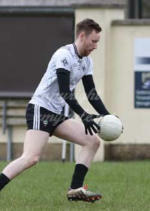 They drew their first game against Killanny and a win would give them some confidence going forward but Aughnamullen was not going to be an easy opposition and in Intermediate level at the moment there are going to be no easy victories. 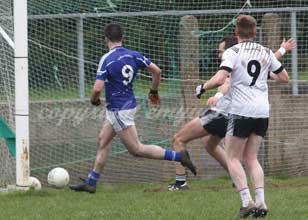 Emyvae began well in the sense that they got scoring opportunities but the accuracy was not there. 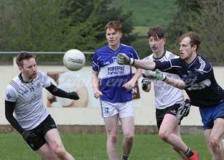 Then they began to put things together and went into a good lead as they played as a team with plenty of support from team mates. 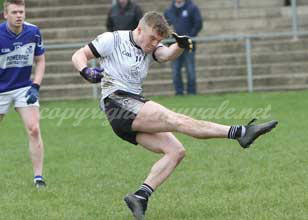 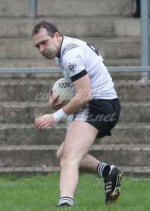 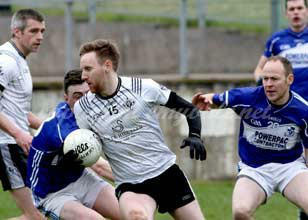 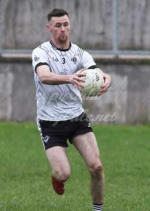 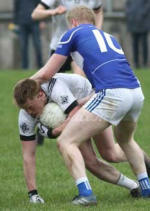 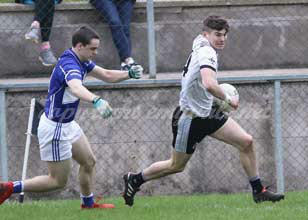 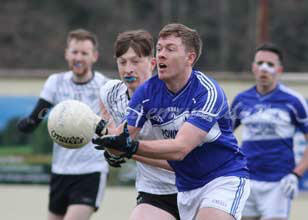 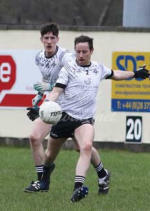 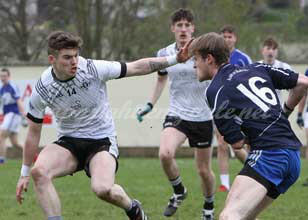 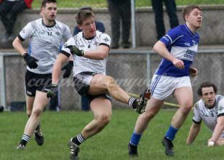 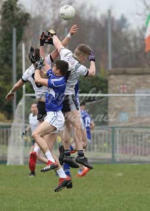 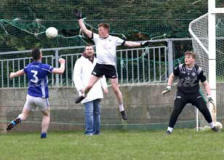 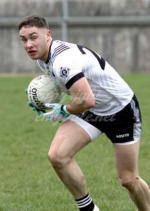 However Aughnamullen got right back into the game and Emyvale faded allowing the opposition to draw level. 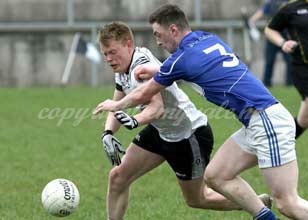 The second half was more of the same. 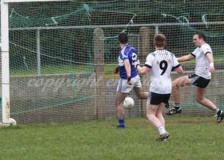 Opportunities missed and mistakes out field. There were a few weak links and this was allowing Aughnamullen to open gaps in the Emyvale defence and capitalise on their chances. 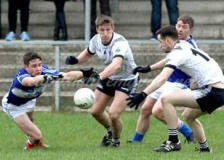 Again the support play was missing and options for the player with the ball became limited forcing players to try to go it alone which did not work. 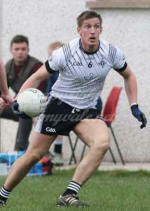 The No 2 for Aughnamullen was playing havoc down along the side line and setting up chances for a team mate which most times ended with a score. Indeed were it not for good keeping and off the line saves by Ryan and Greg the final score would have been much different. 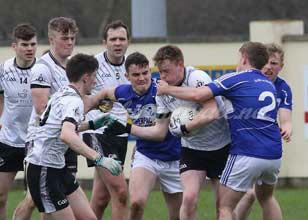 Emyvale could not get control of mid-field and the keeper’s options for kick-outs were limited and this put extra pressure on the defence. 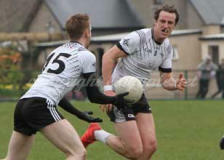 The final minutes of the game were frantic as the home side threw everything into defence and with a man-short they did well to finish with a draw. It must be said that there were a number of players who gave themselves totally to this game but it needs a full team effort to get the win. 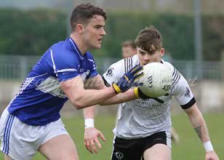 News is spreading that Darren Hughes suffered a severe leg/ankle injury playing for Scotstown on Sunday and we await the results of scans to tell how bad it is. 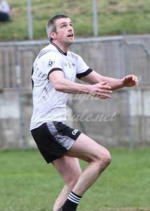 We do hope that it is not as serious as some suggest and that Darren will be back to full fitness very soon.